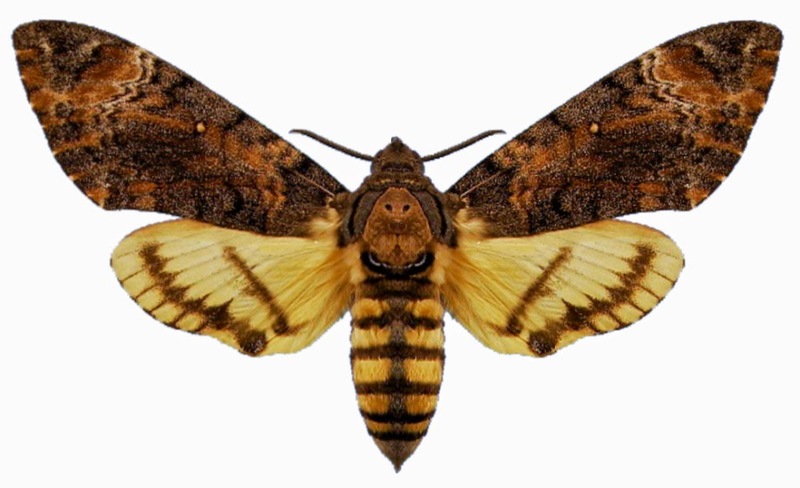 Acherontina, name of a genus of Sphigidae (Hawk moths), with original from the Greek Myth, Akheron or Acheron is naming of the river of pain/sorrow, it is a stream and swampy lake of the underworld and its god. The river, where daimon Kharon ferried souls of dead went across the black water of the river. So Kharon or Charon is the transporter the souls of dead across the river that between living world and the world of dead. They look somehow beautiful moths except the human's feeling about the shape of marking on their pronotum, look like a skull of man. There has not been true answer about why nature selection made that kind of shape on the moths but its scientific name fully with dead/death gods. Also in English and many other language, it is meaning death or death relation. 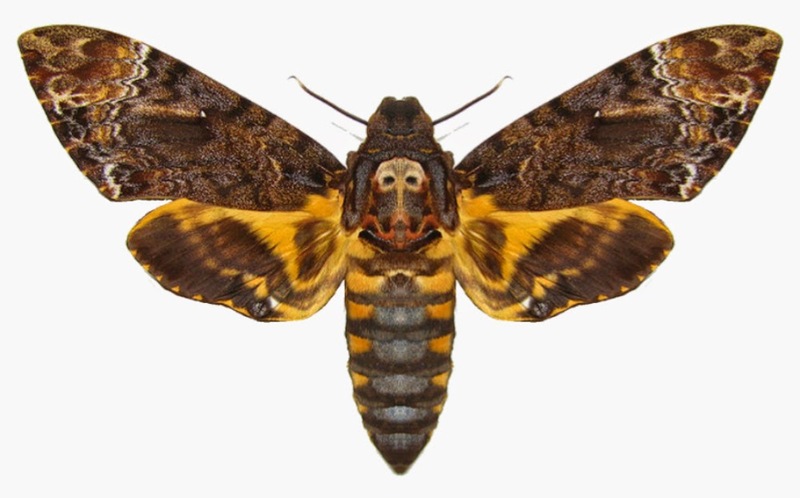 In Vietnam, there are two species of Acherontia: A. lachesis and A. styx, the previous somehow more common and larger and colorful than the later. They are quite common in high elevation mountain forests and strongly attracted insects by light, known as a mimic bee scent as well.